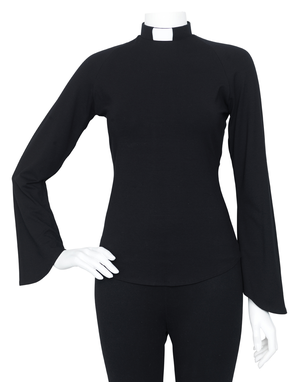 RUT jersey top with long Raglan sleeves. 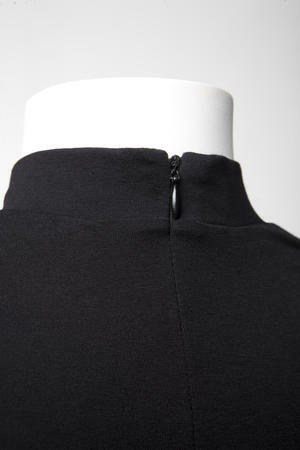 Zip at rear neck. Rounded hem at bottom of jersey and on the slightly flared sleeves.